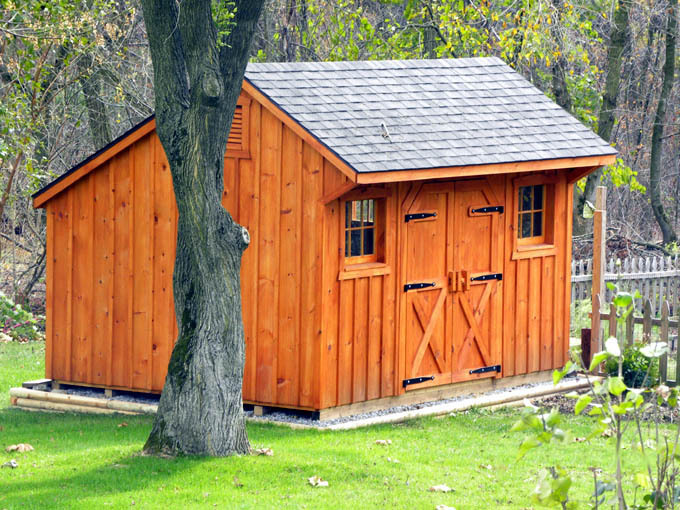 RUSTIC SHEDS: A Natural/Woodsy Feel For Traditional Storage. 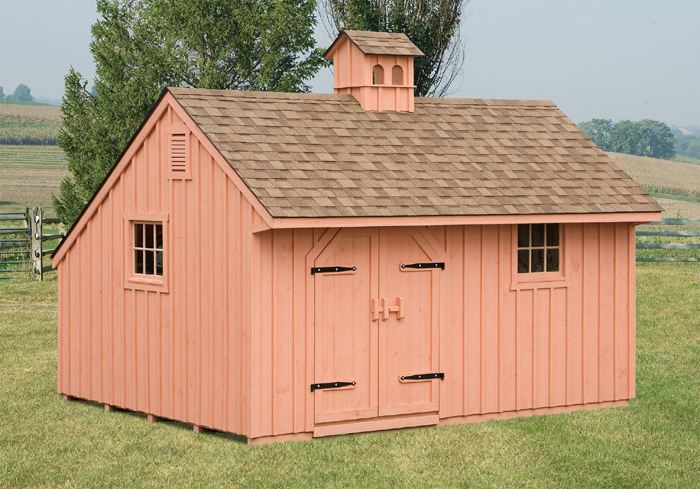 The Rustic Shed beckons back to backwoods country look. 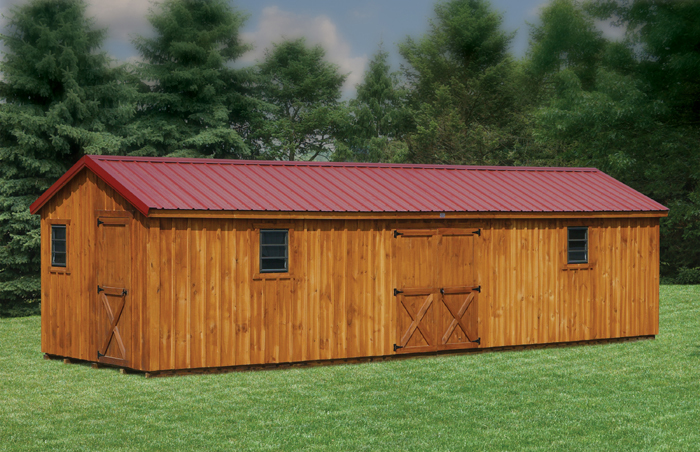 This is a flexible design that comes in several widths, many lengths, and two distinct roof styles. Let your design creativity take over, as well as, your storage imagination. High walls for wall storage or shelving. Floor space for heavy items or equipment. Depending on the roof style, overhead storage for less used items. As a Garden Shed, add a bench for potting, open the windows and doors to let in the air and light, and enjoy the indoor/outdoor workspace. Solid wood construction-with pine board n batten siding. Roofing options: A-frame or Garden Style - Asphalt shingles or metal roofing. 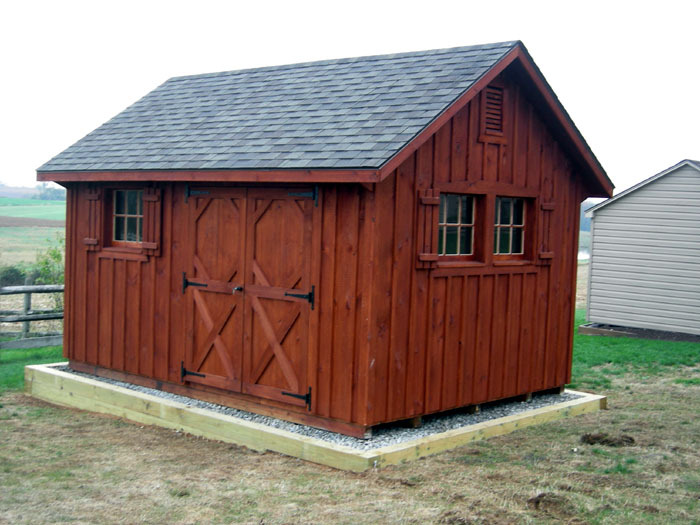 AEach shed comes with two windows and a set of double doors.